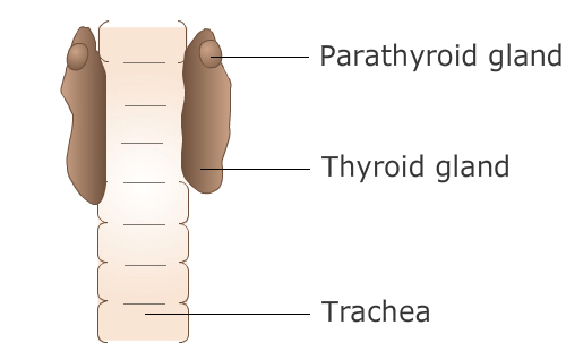 The thyroid gland is located near the trachea (windpipe), just below the larynx (voice box). It is a paired gland that is responsible for the production of thyroid hormones. The major thyroid hormone that is produced by the thyroid gland is thyroxine (T4). A small amount of another thyroid hormone, triiodothyronine (T3), is also made by the thyroid gland. Thyroid hormones have far-reaching effects on the body, in essence governing the body's metabolic rate. The function of the thyroid gland is controlled by the pituitary gland at the base of the brain, through a hormone called TSH (thyroid stimulating hormone). What types of thyroid gland disorders occur in cats? The most common thyroid gland disorder in the cat is an excessive production of thyroid hormone, due to a benign (non-cancerous) increase in the size and function of one or both of the thyroid glands. This condition is termed hyperthyroidism. Less than 2% of the hyperthyroid conditions in cats are due to malignant (cancerous) tumors of the thyroid glands. "Hypothyroidism (a decreased production of thyroid hormones) is very uncommon in cats..."
Hypothyroidism (a decreased production of thyroid hormones) is very uncommon in cats and is usually related to previous therapy for a hyperthyroid condition, or due to a congenital condition (originating from birth). What initial screening tests are used to evaluate hyperthyroidism in cats? Thyroid hormones have widespread effects on the body, and are involved in the metabolism of food as well as the daily metabolic functions of most of the body's tissues and organs. Therefore, the effects of increased thyroid hormone concentrations may be seen in many initial blood and serum screening tests. Changes in the initial screening tests may suggest the presence of hyperthyroidism, and may uncover other conditions, some of which may be related to increased thyroid hormone production while others may indicate other, non-related problems. The white blood cells, red blood cells, and platelets (cellular components involved in the clotting process) are evaluated in this test. A hematology (blood) analyzer will determine the total numbers of these cells, and evaluation of a blood smear will document the physical characteristics of these cells. Hyperthyroidism does not usually cause significant changes in the blood cell profile, with the exception of a mild increase in red blood cell numbers. Therefore, the presence of significant alterations in any of these blood parameters may alert us to the existence of OTHER disease conditions. 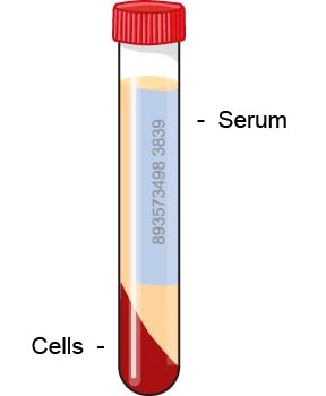 Serum (the liquid portion of blood) contains enzymes, proteins, lipids (fats), glucose (sugar), and metabolites. The use of a serum biochemistry profile allows us to measure these components of serum, and provides us with specific values for enzymes related to the liver, kidneys and pancreas, in addition to an evaluation of the electrolyte components of a serum sample. "...75% of hyperthyroid cats, is related tomild increases in the liver related enzymes..."
The major change, found in approximately 75% of hyperthyroid cats, is related to mild increases in the liver related enzymes (alkaline phosphatase (AP), alanine aminotransferase (ALT), and aspartate aminotransferase (AST)). Excess thyroid hormone may have a direct 'toxic' effect on the liver or the increase may be related to increased blood flow through the liver resulting from the hyperthyroid state. These changes are typically mild and should resolve with treatment of the hyperthyroid condition. If a more significant increase in the liver enzymes is noted on the biochemistry profile, then such an increase suggests the possibility of other liver problems. Many hyperthyroid cats have increases in the kidney related parameters (blood urea nitrogen (BUN) and creatinine). These two parameters indicate how well the kidneys are filtering out metabolic waste products from the body. Increases in BUN and creatinine may be seen with kidney disease, or with dehydration or decreased blood flow to the kidneys. It can be difficult to determine whether increases in BUN and creatinine are related to primary kidney disease or related to the effects of the thyroid hormones on the kidneys. Similarly, it is impossible to accurately predict if these parameters will increase or decrease with treatment of hyperthyroidism. Therefore, it is very important to document whether these changes are present at the outset, and then to follow these parameters as your cat is being treated for hyperthyroidism. 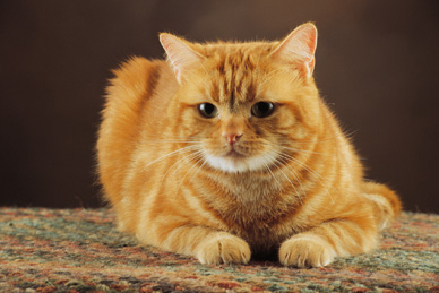 Many hyperthyroid cats have a history of excessive drinking, eating and urination. These signs can be seen with other conditions, especially diabetes. Therefore, it is important to evaluate your cat's blood sugar concentration to help rule out diabetes as a possible cause of these symptoms. 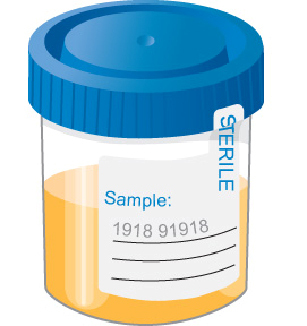 Evaluation of a urine sample is important in any sick animal. In the case of hyperthyroidism, a urinalysis may help us to determine if changes in the kidney tests are related to dehydration or to kidney disease. A urine sample will also aid in the diagnosis of diabetes. Are there any specific diagnostic tests for hyperthyroidism? "The majority of cases of hyperthyroidism can be diagnosed with a single blood test that measures the total thyroxine (T4) concentration." The majority of cases of hyperthyroidism can be diagnosed with a single blood test that measures thetotal thyroxine (T4) concentration. Because hyperthyroidism in cats is due to the excess production of thyroid hormones (primarily T4), the blood T4 concentration is usually markedly elevated in cats with the disease. Is the thyroxine concentration always increased in hyperthyroid cats? No, the thyroxine concentration may not always be increased. However, these T4 values are usually at the upper end of the reference range. There are a number of potential reasons for this. Thyroxine levels in the blood naturally fluctuate throughout the day, depending on the metabolic needs of the cat. If your cat has a mild or early case of hyperthyroidism, the thyroxine concentration may occasionally 'dip' into the normal range. The administration of drugs for other medical conditions may affect the concentration of thyroxine. Finally, the presence of other illnesses (called concurrent illness) may cause the thyroxine concentration to be reduced. What if the thyroxine concentration is decreased below the reference range? Since hypothyroidism (decreased thyroid function due to disease of the thyroid glands), is very rare in cats, such a decrease is usually due the presence of an illness other than thyroid disease. Cats with such a result do not have hyperthyroidism. What is free thyroxine concentration (fT4)? FT4 is the portion of the thyroxine hormone that is not bound to any blood proteins. Determination of fT4 involves a single blood sample that is sent to a referral laboratory. "The concentration of fT4 is less affected by factors such as concurrent illness or medications." The concentration of fT4 is less affected by factors such as concurrent illness or medications. However, a small proportion of normal cats are known to have fT4 concentrations above the reference range. Therefore, determination of fT4 is usually reserved for those cats with strong clinical signs of hyperthyroidism, whose initial screening tests supported hyperthyroidism, but whose total thyroxine concentrations were not diagnostic. Are there any other tests for the diagnosis of hyperthyroidism? The vast majority of cases of hyperthyroidism are diagnosed by the combination of clinical history, initial laboratory screening tests, and the determination of T4 or fT4 blood concentrations. On rare occasions, additional tests such as the T3 suppression test or imaging studies of the thyroid gland may need to be performed. Imaging studies are usually done at a referral center. What is a T3 suppression test? +A 'negative feedback' system normally exists between the thyroid and pituitary glands. When thyroid hormone levels are adequate in the blood, a signal is sent to the pituitary gland, which stops stimulating the thyroid gland to produce thyroid hormones. Conversely, if thyroid hormone levels are reduced, the pituitary increases its stimulatory effect on the thyroid gland in order to 'step up' hormone production. With hyperthyroidism, this feedback system is lost and the thyroid gland just keeps producing hormone with no regard for any regulatory efforts by the pituitary. The T3 suppression test is based upon the normal negative feedback system. A baseline blood sample for T4 is taken and then the cat is given a short course of oral thyroid hormone (T3), usually in tablet form. A second blood sample is taken approximately 2 ½ days after the first sample. If the cat has a normally functioning thyroid this 'extra' T3 hormone will tell the pituitary to stop stimulating the thyroid gland, and production of additional natural thyroid hormone (T4) will stop. Cats with normal thyroid function will have a reduction in T4 concentration of approximately 50% between the first and second blood samples. If the cat has hyperthyroidism, there will be no decrease in thyroid hormone concentration in the second blood sample.